Height: 10 1/2". Width: 17". Weight: 2 lbs. Made of metal, aluminum. 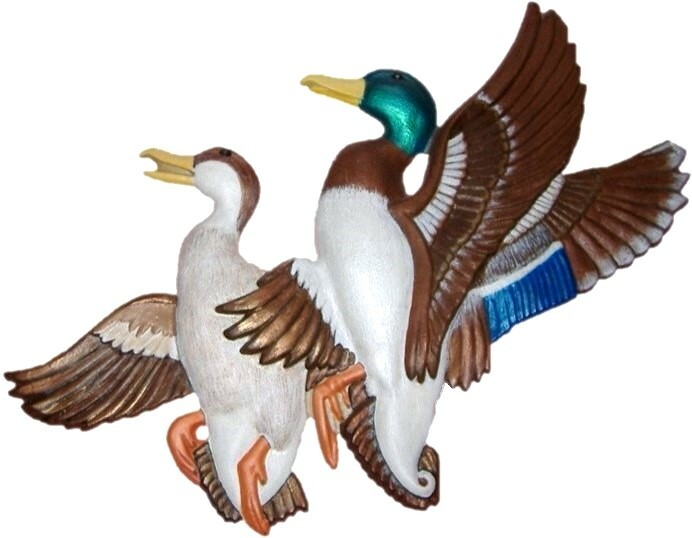 The mallard ducks are hand-painted to be authentic as possible. will make a great gift or a wonderful accent to any home decor. Your choice of finishes. Made and hand-painted in the USA.